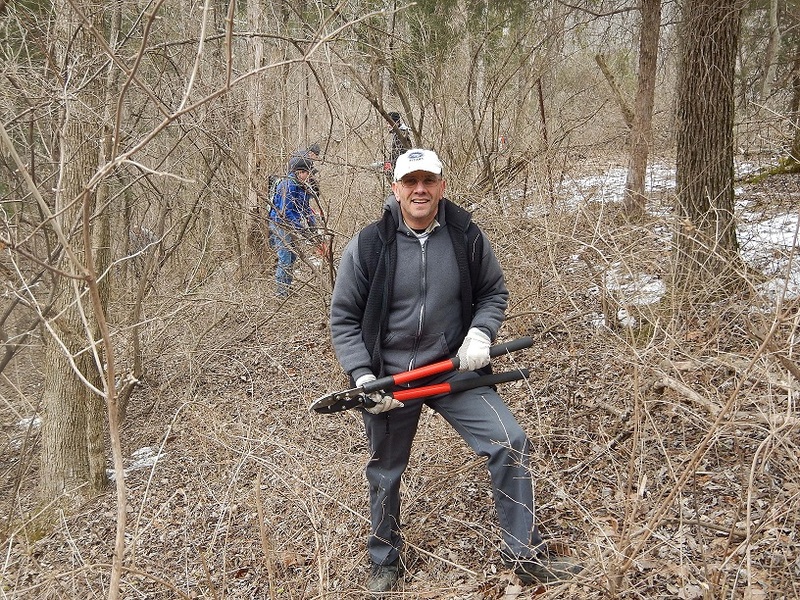 Contributed : Feb. 7, 2019, 11:39 a.m.
Feb. 7, 2019 – Tennessee State Parks and community partners are seeking volunteers for the annual Weed Wrangle, a nationwide effort to fight invasive plant species in public parks on Saturday, March 2. Examples of efforts in the Weed Wrangle include protecting rivercane at David Crockett Birthplace State Park, removing garlic mustard at Warriors’ Path State Park, removing autumn olive at Panther Creek State park, and removing privet at several parks. For more information on specific parks and plans for the Weed Wrangle, visit https://tnstateparks.com/about/special-events/weed-wrangle. Volunteers at the 2015 Weed Wrangle event at Radnor Lake State Park and Natural Area. Photo contributed.